Together Hareem Jersey Trouser is rated 5.0 out of 5 by 1. From Together. Exclusive to us in sizes 24-32. Stride out in style in our contemporary hareem pants which are crafted from a comfy stretch fabric for a flattering fit. Featuring a stunning embroidered elasticated waistband and a stylish drawstring hem. 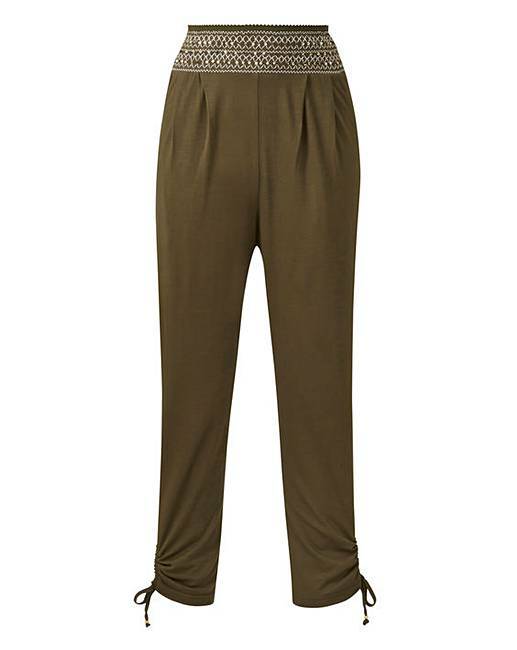 Rated 5 out of 5 by tiger tiger from Together Hareem Jersey Trouser These trousers are really nice,though I had to reorder the smaller size as the 18 was to big for me. They are a really nice colour,of good quality and good value for money.